First up were Ella Napier and Ella Thornburg swimming the event long course for the first time. Both swam PBs, with Ella Thornburg knocking almost 45 seconds off her short course time equivalent to finish 4th and achieving a regional base time for the 1500m event (times for this are based on 800m times as there is no recent historical data for girls 1500m). Amber Brown was up next, also swimming the event long course for the first time and came close to her SC equivalent PB. Her sister Jessie followed with another solid performance in her race and of course great long course racing experience before her main county events. William Le Merle was our only boy there doing the 1500m. He led his heat all the way by almost half a length, swimming a great 15 second PB against his short course time equivalent and 48 seconds faster than his last long course 1500 race! 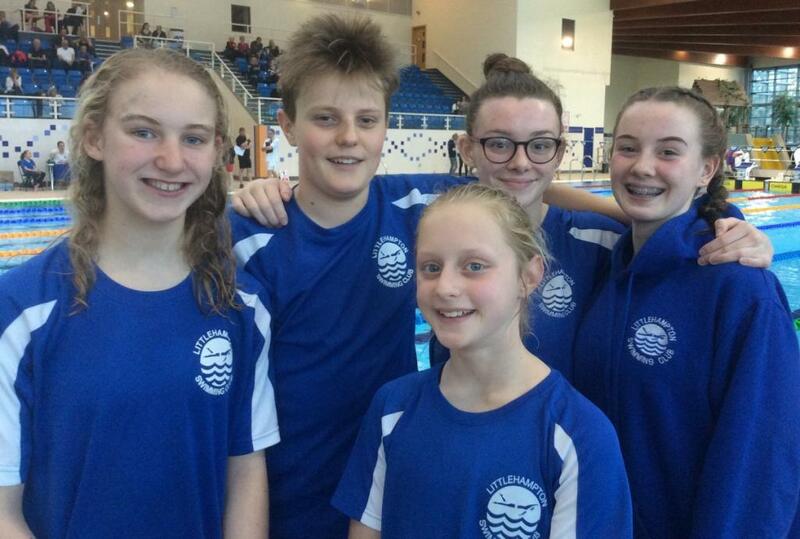 A fantastic well done to all five swimmers! Our referee Mark Savill was in action too, along with young official Heidi Cameron who was being mentored as part of her Judge 1 training.